A German shepherd mix found trapped between two boulders in Valley Center earlier this week was recovering Friday and will be put up for adoption if no one comes forward to claim her. 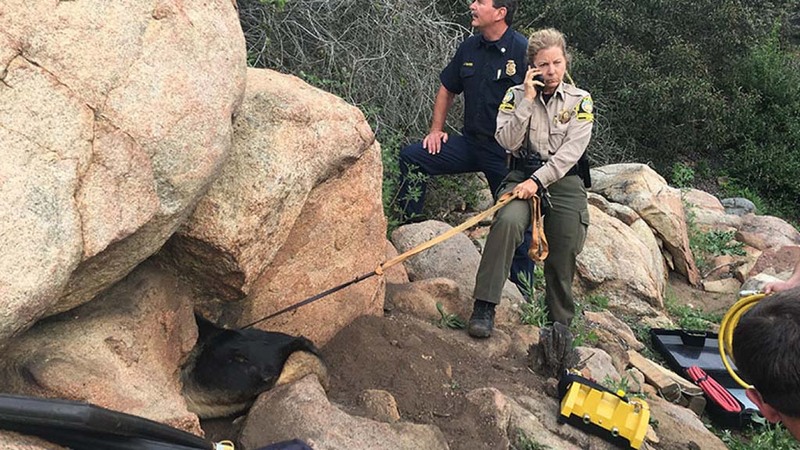 A local couple alerted the county’s Department of Animal Services on Thursday that the dog was stuck between the boulders in a ravine near their property. The couple recognized the dog as a stray they had fed in the past. 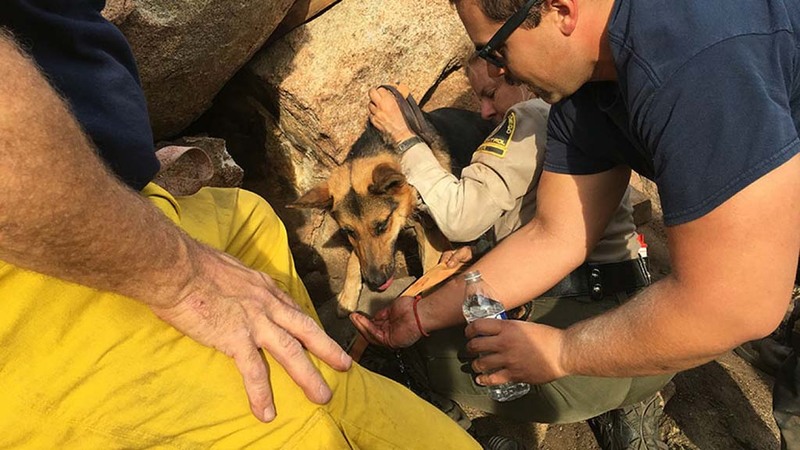 Firefighters with the Valley Center Fire Protection District were able to shift and chip away at the rocks to free the canine, who they named Rocksann. They took her to the county’s Carlsbad animal shelter to recover. 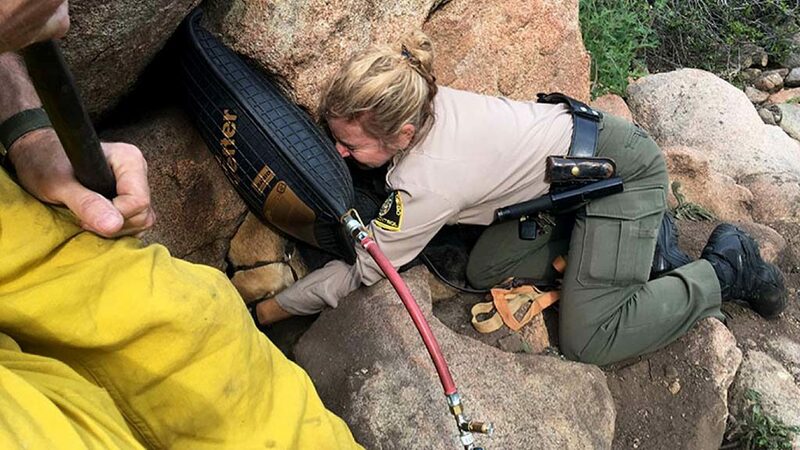 “She probably went in after a rabbit or squirrel but when she got in there, got her head stuck,” said county Animal Control Officer Denise Gove. The dog was being treated for crushing injuries she suffered while stuck between the rocks, and animal care staff said she likely would have died due to dehydration within another day or two if she hadn’t been found. 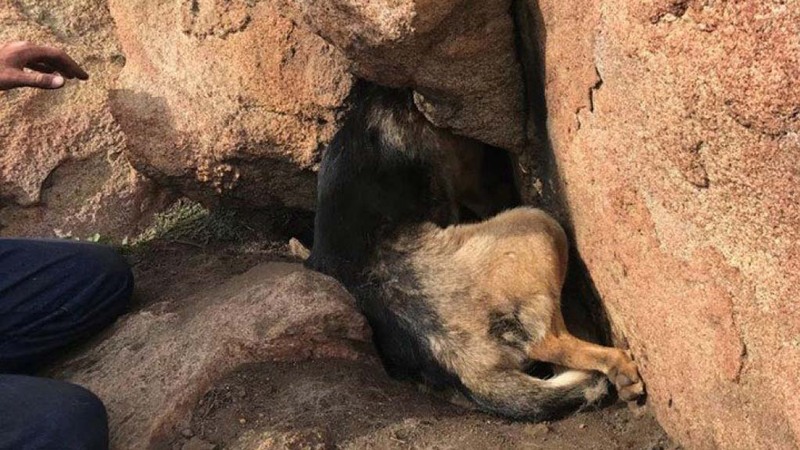 “She was stuck in an unusual location and being a black-and-tan shepherd, looking from a distance you couldn’t see her,” Gove said. 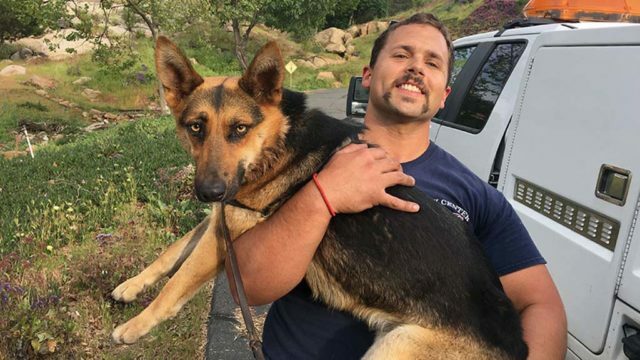 County animal services staff will continue to monitor Rocksann as she recovers. She is currently on a three-day hold as the county waits to see if she has an owner that will claim her.